Arcosanti is an experimental town that began construction in 1970 in central Arizona, 70 miles (110 km) north of Phoenix, at an elevation of 3,732 feet (1,130 meters). 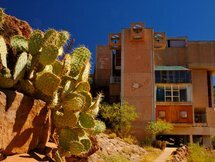 Architect Paolo Soleri, using a concept he calls arcology (a portmanteau of architecture and ecology), started the town to.. The Shukhov radio tower also known as the Shabolovka tower, is a broadcasting tower in Moscow designed by Vladimir Shukhov. 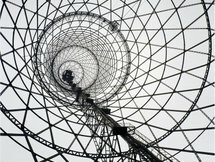 The 160-metre-high free-standing steel structure was built in the period 1920–1922, during the Russian Civil War. It is a hyperboloid structure (hyperbolic steel.. 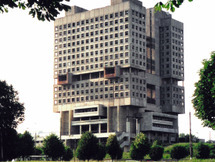 The Dom Sovietov (House of Soviets) is situated in the centre of Kaliningrad on the historical site of the Prussian Königsberg Castle which was severely damaged by allied bombing in WW II. The remains were blown up between 1964 and 1968 by order of the executive committee of the communist party.. The building was originally built in 1932 for Jenő Dálnoki-Kováts, chairman of the Hungarian Trade Association. 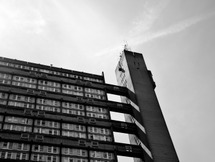 The architect was Farkas Molnár, who has studied in the famous Bauhaus school in Dessau, Germany. 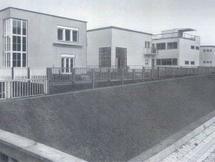 As a student of Walter Gropius he was one of the leading member of the Modern Movement.. This Villa was designed by Fred Forbat to a chemistry professor, dr. Laszlo Zehmeister in the town of Pécs, Hungary. 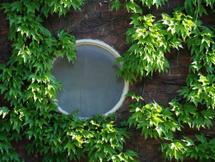 Before starting designing the Villa, Forbat made a primary plan, a one-storey, brick-clad house, with a complex plan. Finally the realized house is simplier and more functional,.. Right after the 32nd Hungarian Filmfestival, the Atrium Cinema - which was called 1st of May Cinema for years - closed its red curtains. However during the Filmfestival the old, well-thumbed Cinema attracted the public with its graceful, retro style and spirit. 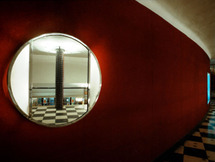 The Atrium Cinema is one of the two..
Hoffmann Villa, designed by József Fischer and constructed in 1935, is one of the gems of the Hungarian Bauhaus movement. 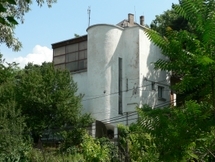 Gedeon Gerlóczy designed this building in 1930. 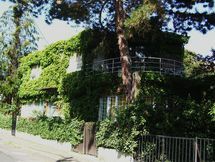 It is one house of the famous experimantal Napraforgó street, where the whole street was designed by the best architects, based on an example in Stuttgart. 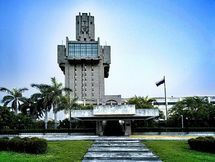 To select an architect for a new site of three hectares for the Argentinian National Library, a national competition was organised in 1962. 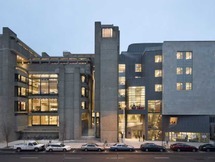 Among dozens of proposals, the architects Clorindo Testa, Francisco Bullrich and Alicia Cazzaniga de Bullrich were selected to build the new library. The.. Between 1932 and 1965 during Soviet rule, a picturesque retreat for the Writers’ Union of Armenia was built on the sprawling shore of Lake Sevan outside the nearby capital of Yerevan. 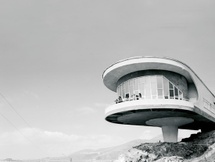 The two buildings that form the Sevan Writers’ Resort—the guest house (1932-1935) and the lounge (1963-1965) were.. The Avala Tower (Serbian: Авалски торањ / Avalski toranj) is a 204.5 m (671 ft) tall telecommunication tower located on Avala mountain in the periphery of Belgrade. 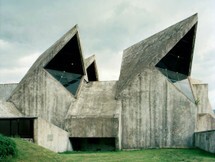 It was destroyed in NATO bombardment of Serbia on 29 April 1999. 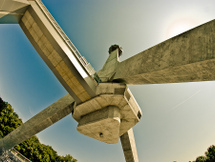 On 21 December 2006, the reconstruction of Avala Tower commenced.. 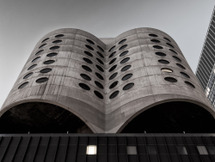 The Prentice Women's Hospital Building, formerly the Prentice-Stone Pavilion, is a vacant hospital on the Downtown Chicago campus of Northwestern University in the Streeterville district of Chicago's Near North Side. 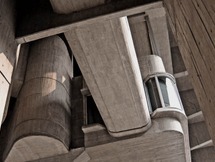 The brutalist design by architect Bertrand Goldberg features a 9-story concrete..
Spomen Dom was built in 1976. It is located in the city center of Kolašin, in the northern part of Montengro. 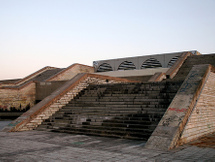 It was built to commemorate the first assembly of the National Anti-Fascist Council for the National Liberation of Montenegro and Boka (the southern region of Montenegro). 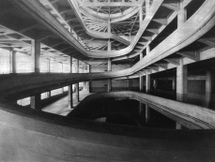 In the..
Lingotto is a district of Turin, Italy, and the location of the Lingotto building in Via Nizza. This building once housed an automobile factory built by Fiat. 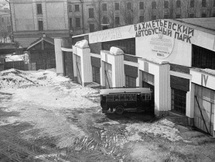 Construction started in 1916 and the building opened in 1923. 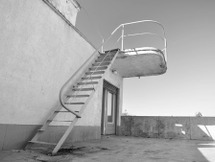 The design by young architect Matté Trucco was unusual in that it had five..